The Korean Cultural Center New York, a branch of the Ministry of Culture, Sports and Tourism (MCST) of the Republic of Korea, is proud to announce its Korean Movie Night: Premiere Showcase presentation with the New York premiere of Kim Jee-woon’s period action thriller The Age of Shadows, following the film’s North American bow at the Toronto International Film Festival. After debuting in Hollywood with Arnold Schwarzengger’s action vehicle The Last Stand, director Kim (I Saw the Devil, A Bittersweet Life) is back on home turf, with what has been one of the most anticipated Korean films of 2016. Set in the 1920s Korea during the Japanese colonial rule, The Age of Shadows follows Korean independence movement activists in their attempts to smuggle explosives from Shanghai so they can destroy the Japanese forces' facilities in Seoul. Featuring the acting talents of Song Kang-ho (Snowpiercer), Han Ji-min (TV series Rooftop Prince), Gong Yoo (Train To Busan), and an extended cameo by Lee Byung-hun (Terminator Genisys, The Magnificent Seven), The Age of Shadows had its world premiere out of competition at this year’s Venice Film Festival, and was recently announced as South Korea’s candidate for the foreign-language Oscar. Director Kim Jee-woon and actress Han Ji-min will attend the screening. A Q&A with Director Kim Jee-woon will follow the film. Free admission; seating will be first come, first served. Make sure to visit our Facebook page for updates: Facebook.com/KoreanMovieNY. 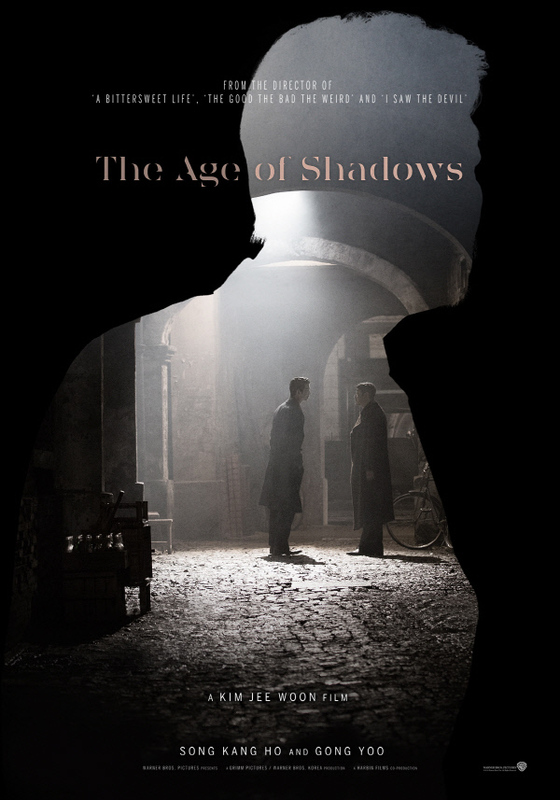 THE AGE OF SHADOWS will be released theatrically in the U.S. and Canada on September 23rd by CJ Entertainment America. Korean Movie Night New York (KMN) is Korean Cultural Center NY’s year-round program of screenings and events that introduce New York audiences to the full spectrum of both contemporary and classic Korean cinema. Currently, KMN consist of Korean Movie Night New York: Premiere Showcase (special premiere screenings of the latest blockbusters) and Korean Movie Night New York: Master Series (thematic retrospective programs). KMN was launched in 2010 as a successor to Korean Cine Forum, an earlier film screening series that was organized by the Korean Cultural Service since 1996. Keep up with the latest news at: www.Facebook.com/KoreanMovieNY.